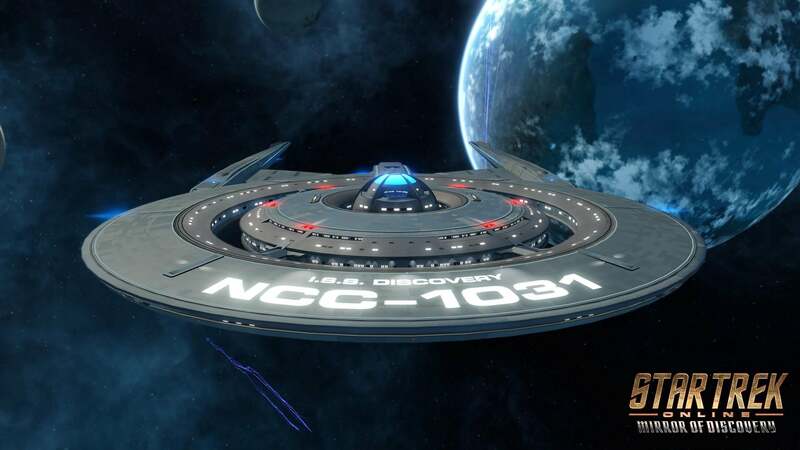 Next month, Star Trek Online will celebrate its ninth anniversary on PC. The game may only have been on Xbox One for two years, but that doesn't mean console gamers won't benefit from the extra content that will be added as part of the ninth anniversary update. Mirror of Discovery is the next chapter in the Age of Discovery saga. As usual, the new content update will feature two new featured episodes that continue the Age of Discovery story arc: “Para Pacem” and “The Illusion of Communication”. These missions are based on events that occur after the "Despite Yourself" episode of the Star Trek: Discovery TV series. During that episode, the crew of the U.S.S. Discovery were warped into a Terran-ruled Mirror Universe during the year 2256, while the I.S.S. 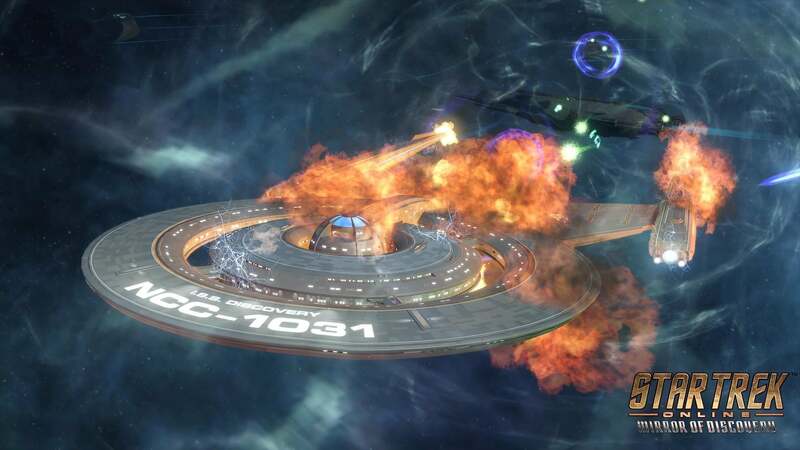 Discovery was believed to be destroyed by Klingons. The Mirror of Discovery update picks up in the year 2410. 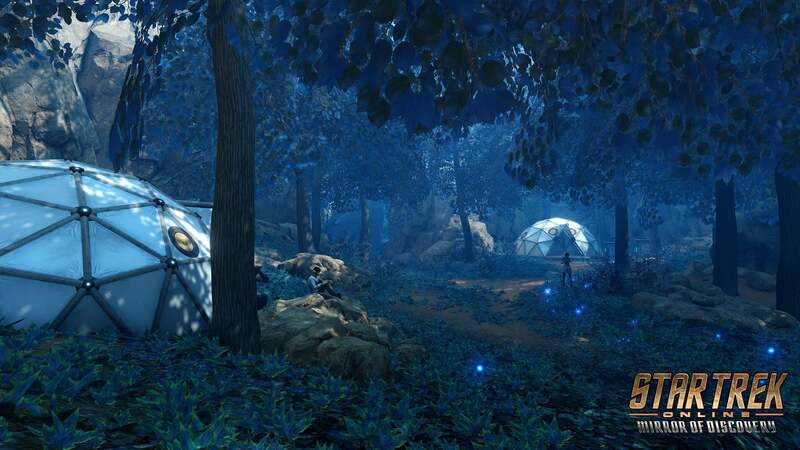 Players travel to the planet of Pahvo to take shelter during an ion storm. Here they discover survivors from the I.S.S. 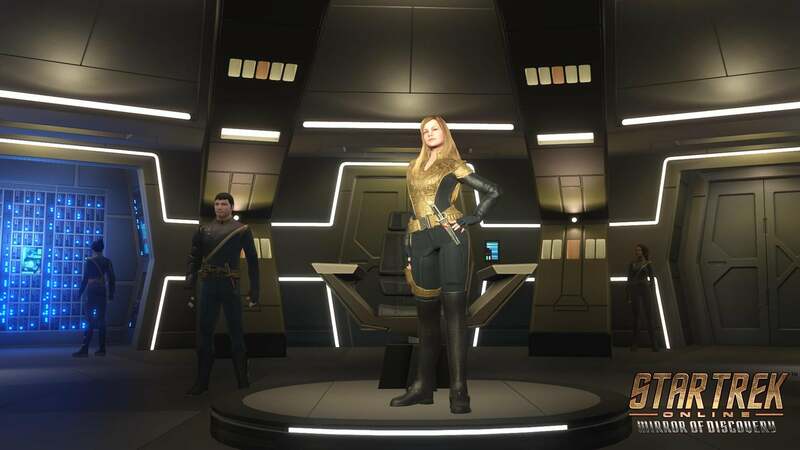 Discovery, including meeting the ship's ruthess leader Captain Sylvia “Killy” Tilly for the first time. They'll be able to discover what really happened to the starship all those years ago, as well as trying to prevent Killy from destroying the planet. The update will also see the return of the Omega Molecule Stabilization event where players collect Omega particles that are scattered across the galaxy. Those who collect enough particles will earn the T6 Vulcan Scout Ship. There will also be improvements to the Personal Endeavors System that offers daily challenges for players to earn performance boosts. A full list of the update's features has been promised later this month, but for now you can catch a glimpse of them in the screenshots below. Mirror of Discovery will be arriving on PC on January 23rd. It will arrive on consoles "later on".